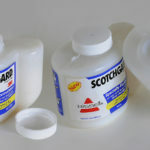 Bottles & Containers – Custom-Pak, Inc.
Custom-Pak is a leading producer of specialty bottles and containers. With over 200 machines we can provide almost any bottle or container size in any quantity. We also build special equipment for making containers with unusual specifications — including containers that our competitors find impossible to mold. We offer automated testing & closure application, decorating, and many other services from multiple locations to ensure your bottles are delivered at the lowest prices. Please note: Custom-Pak does not distribute stock bottles or maintain a series of standard bottle molds for production. Each container is specifically designed to meet a product’s market need requiring a new blow mold to be built and equipment prepared to produce that container. Contact our container specialists for details.